WOWZER! What amazing inspiration. You always have so many great ideas. I am having such fun experimenting with the new flowers. So beautiful! Will definitely need to get this one!! All the cards are so beautiful. cannot wait to see videos on techniques. 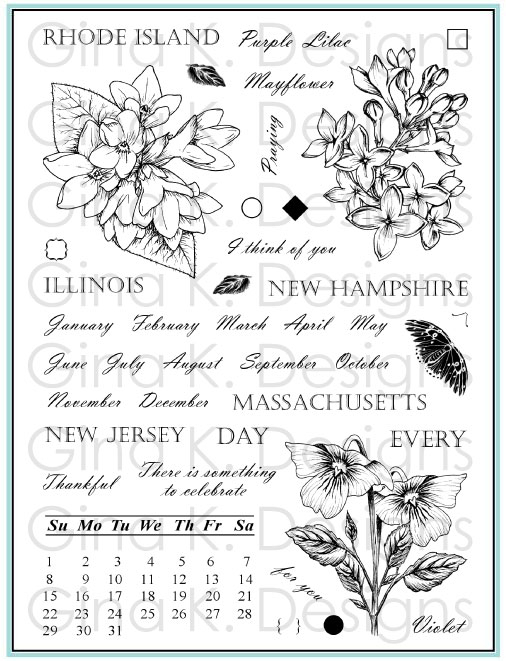 Have to admit I have been using the Pressed Flowers 1 with the outlines in year of Flowers 2. now I have the Year of Flowers (1) -- but it looks great anyhow. Amazing and beautiful flowers and beach scenes...WOW! 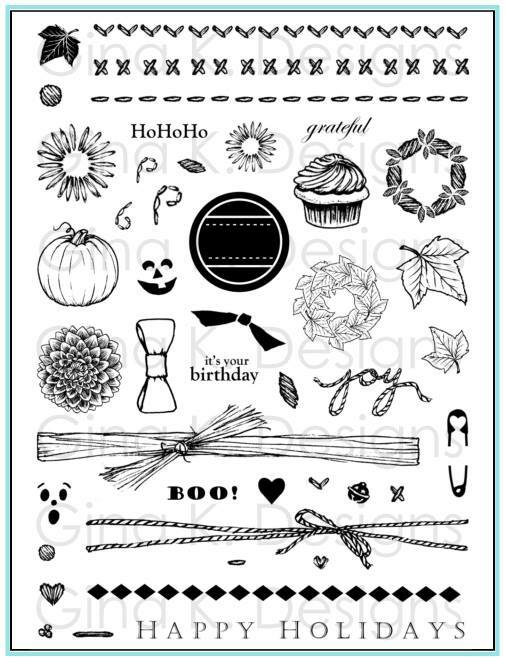 Beautiful cards and such great ideas for both stamp sets. Off to get more inspiration. Thanks too for the chance to win a prize. Love these cards, you did a beautiful job. The flowers need to be in my collection of your stamps because they are beautiful. Who couldn't use a beach card? Excellent! So many ideas....so little time! 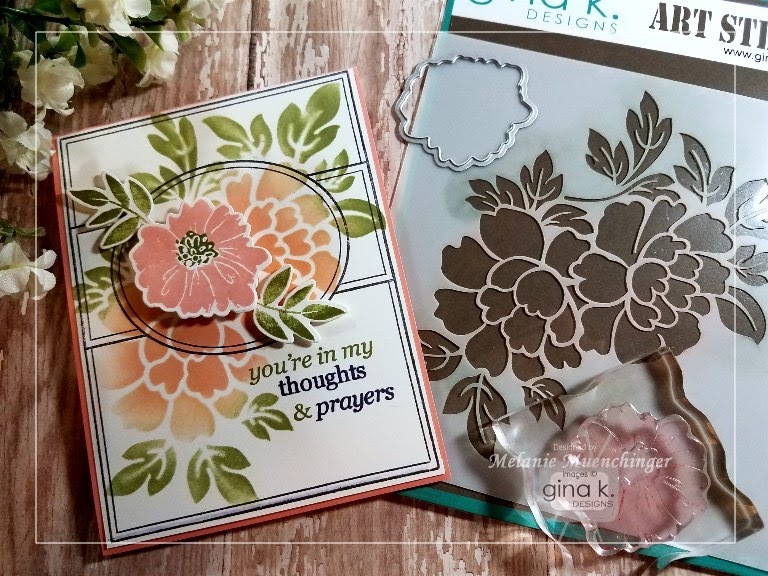 Oh my, what a gorgeous new set of flowers & dies! And your cards are so very inspirational and lovely. And the font of the script, your own!, is beautiful. Awesome cards Melanie! I love them all. Gorgeous! Love the Red Velvet ink, too. Love, Love, Love the beach scene. Love the cards especially the ones using the tropical skies set. Brings back fond memories of yesteryears. Gorgeous cards! All of them. I can't wait to get my order! Should be here any day now! I am so excited. Can't wait to see what everyone creates with this beautiful release. Thanks so much for all the inspiration and an awesome blog hop! I am new here and just impressed with your stunning creations! So inspiring and I love the sunset scenes! Oh my Melanie...I am always awe inspired by your creations! I'm so loving the dies...having a blast just playing around! 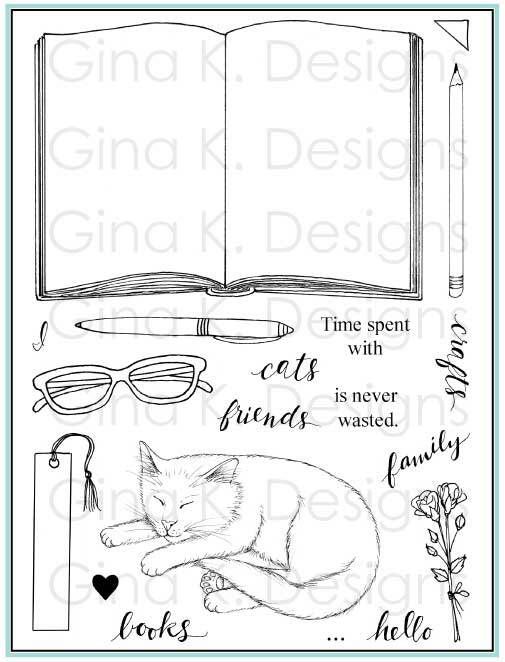 Beautiful stamp set and inspiration! 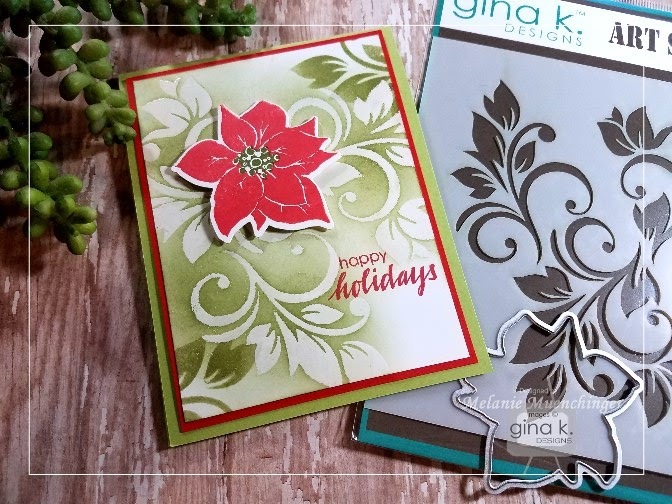 I love the idea of the poinsettia with the stencil! Awesome cards as always! I especially like how you used the stencils. Oh my gosh, your cards are all so stunning!!! Love! 😮 OMG could those cards get any prettier?!?! I love stencils and absolutely love how you popped the poinsettia over top! All of your cards are just amazing! Melanie, these are fabulous! Thank you for all the samples using this set. Love the new flowers, but also the blues in your tropical cards. Very cool! Love your cards! And the stamp sets and the Dies and all your tips! Well, just everything! Thanks for sharing! All this gorgeousness!!! I just can't stand it....love what you have done with those stencils too. Thanks for all the great inspiration!!! Beautiful cards! I love the use of the stencils, too. Love your pressed flowers, Melanie! I love the colors on all of the cards especially the pink on the Happy Birthday card. Very pretty. These designs convinced me! Gotta buy the new stamps. They are gorgeous. 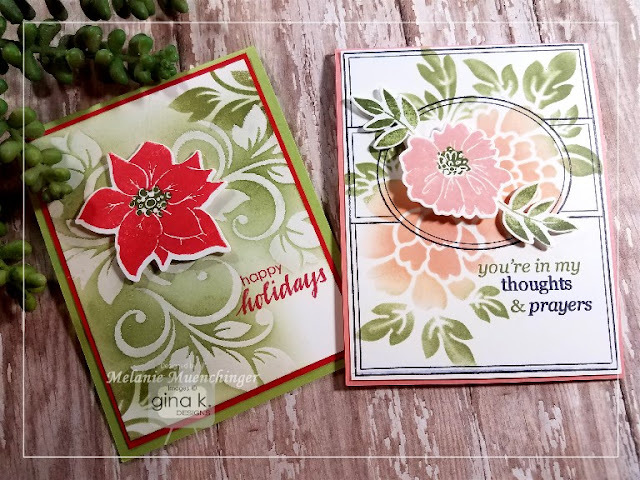 Beautiful cards, designs and coloring Melanie! Melanie, your cards are gorgeous! I love how you used the stencils too. Thanks for the inspiration. WOW! Gorgeous cards! Love how you even incorporated Christmas! TFS! Awesome!! You never fail to inspire me with your beautiful cards! Thanks so much!! The beach scenes are fantastic. here so we could walk hand-in-hand. 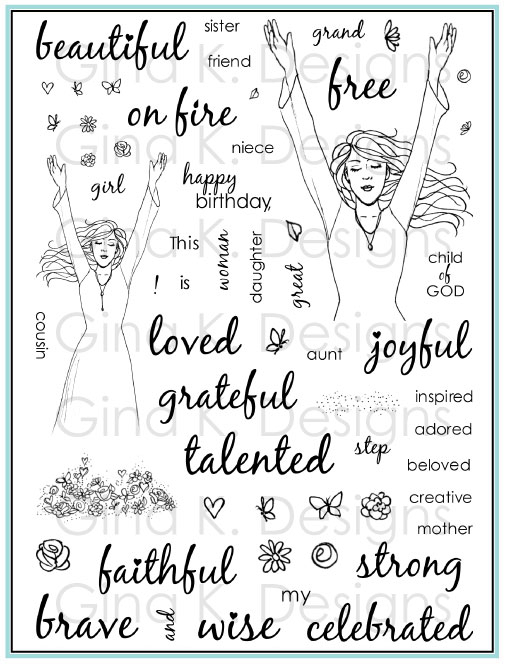 Your stamping is always soooo beautiful!!! Super beautiful stamp sets and wonderful cards made using them. 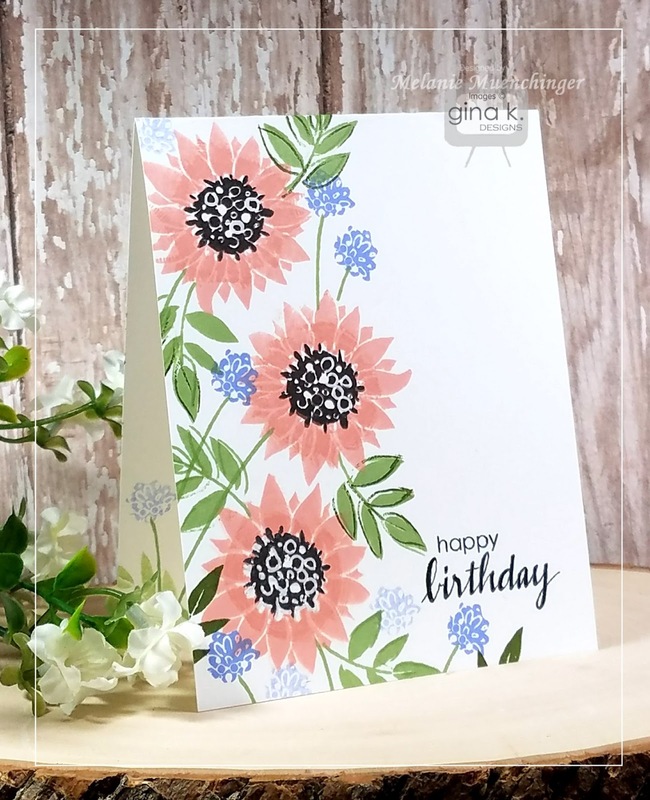 I really love the first floral card design with those soft pretty colors. I love the flowers! All the cards are lovely and I'm trying to decide which one to make first! Since I'm going to a crop this weekend I can make all of them! Your flowers are always so gorgeous! Wow, you created a ton of beautiful examples! I like that you included your calligraphy sentiments. Beautiful cards. So glad I don't have to pick a favorite. Love the color combos. I am loving the calligraphy. I took several classes years ago and still love writing with my pens. I loved all of your ideas. I think your Hello sunshine card is so versatile. I'm looking forward to seeing the videos. 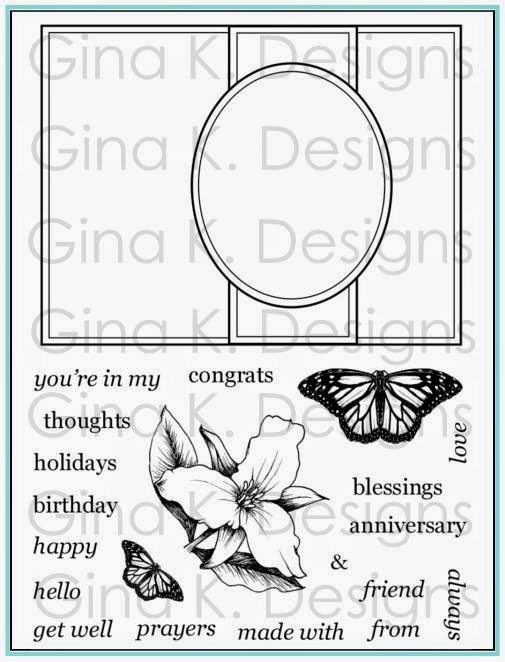 Love your stamp designs and the cards you created. Please keep the floral designs coming. love watching your videos. so much inspiration. your stamps/dies are gorgeous, as usual. Beautiful cards! I enjoy watching your tutorials ...you make everything look so easy! Your tips are great too! Thanks for all the inspiration that you share with us! I always have to keep a towel handy looking at your cards. They are soo beautiful. Thank you. Beautiful cards, Melanie! 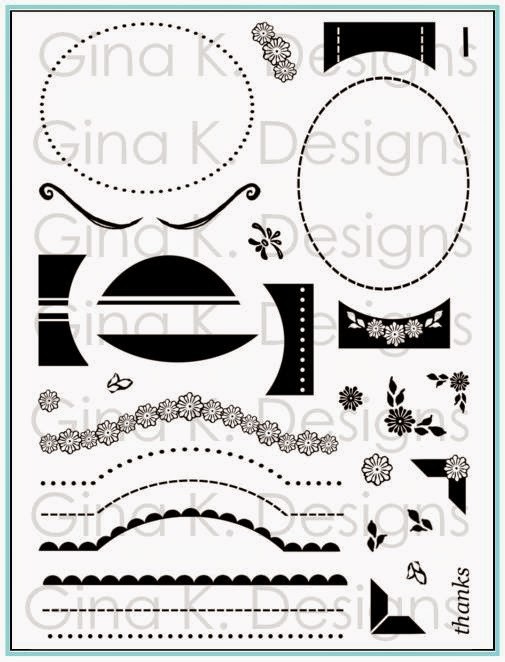 Really love how you incorporated the stencils to create beautiful backdrops! Wow this set is stunning. Can't wait to go watch the videos. Love the cards they are really inspiring!!! Beautiful cards. So pretty as always. Very lovely cards. Beautiful stamps. Melanie, you never fail to inspire us all with your gift of creativity! These are beautiful. Can't wait to get my hands on the Pressed Flowers 2, and may even have to get the year of flowers as well! Thanks for sharing your talents. I love this stamp set and all the different cards you made highlighting the stamps. I love the one card with the torn edge on the bottom. It is unusual and the black underneath makes the colored flowers pop. 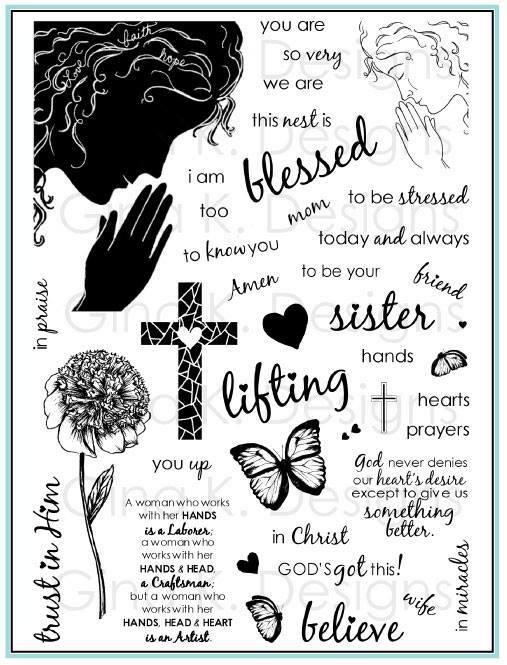 How beautiful the cards are that you used the stencils with! I love seeing something different like that! Thank you for designing this stamp set. And how nice to have matching dies! You also did a great job with the tropical stamps! But you are the queen of the florals!! 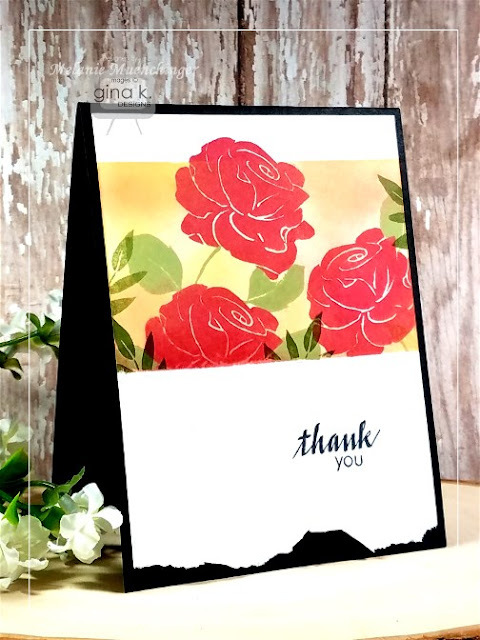 I am brand new to Gina K's stamps and am now seeing what I've been missing all these years. Holy Cow! What gorgeous stamps, and they look like they all work so well together. Now I just need to figure out my way around your forum so I can begin entering some challenges and get in on the fun. Love your cards and the colors you used. Just breath taking! I'm very inspired by all the talented designers. Such eye candy! LOVE all of your cards! 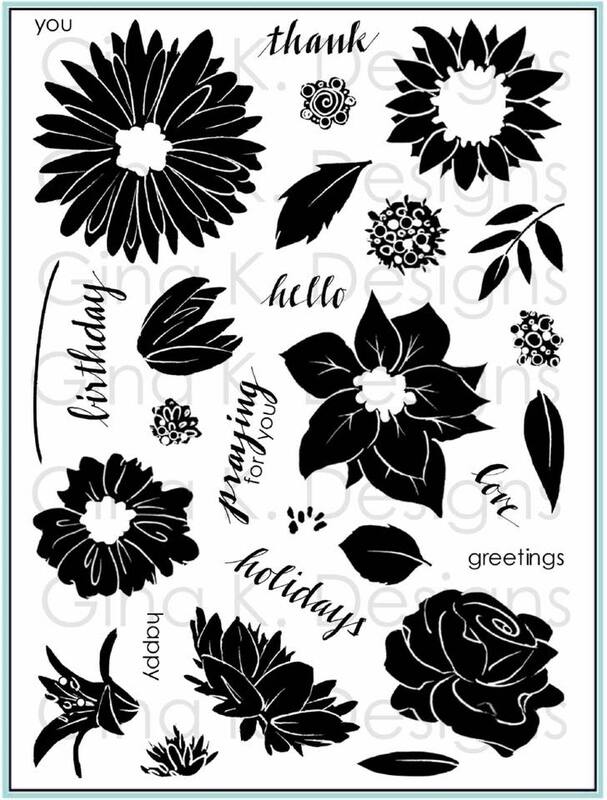 Great versatile stamp set, love the flowers! Oh my gosh, I have got to have your stamp set AND both sets of dies. Love, love, love them!!!! your cards using Theresa's stamp set are just gorgeous, too. You rock!!!! 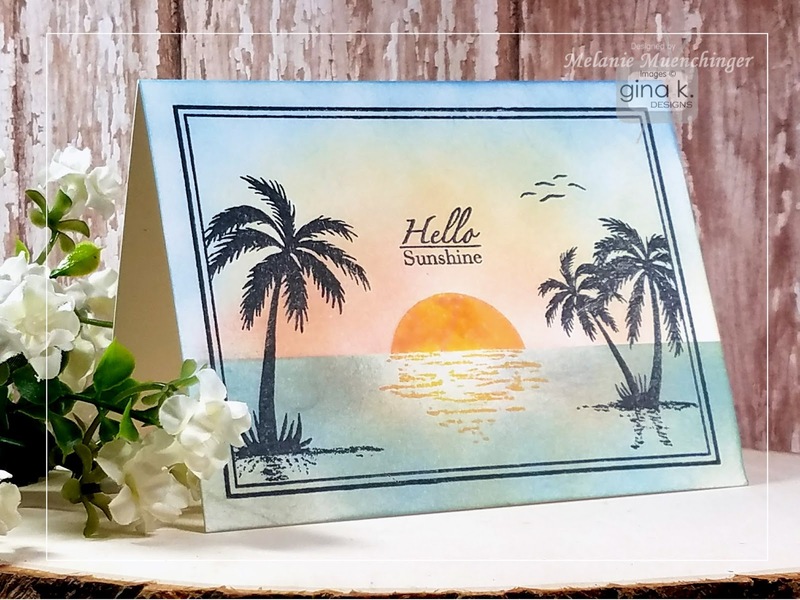 Lovely floral cards and beautiful tropical scenes. 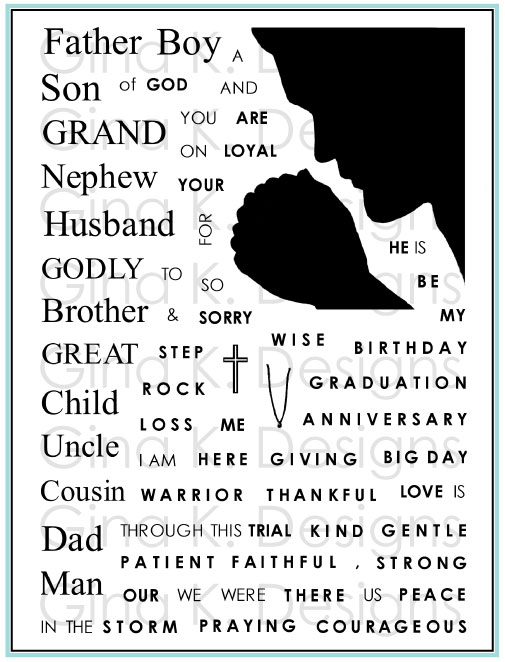 Melanie - these cards are all beautiful! I love having examples to follow. 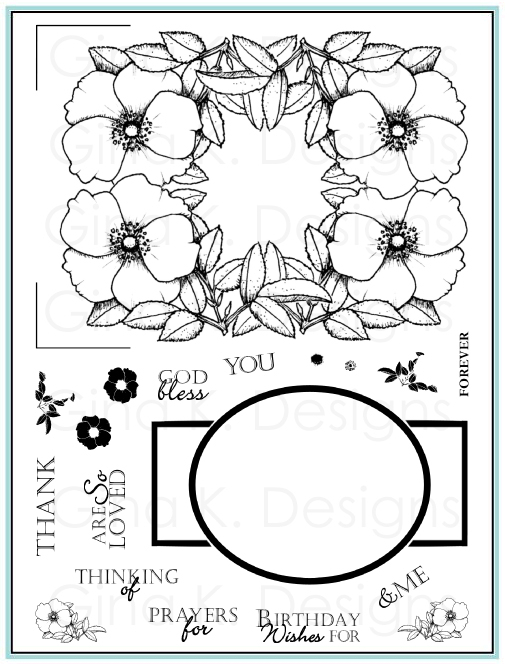 And one tip I never even thought about is using the center flower stamp to make the little flowers. Great Idea. Thanks for always inspiring me! Stunning as usual! Love you work! All of the cards, and the stamp set, are beautiful! These are all gorgeous cards but the first one really has my heart! Your cards are so creative and beautiful. I loved how you used the stencils and can't wait to go check them out. Thanks for all you create and SHARE! gorgeous flower set! I'm in love with the roses and your take on, using that rose! I also love the poinssetta look for Christmas card. Tropical scenery frame is also beautiful. Love how you did on the sunset! Thank you for great inspiration! Beautiful flowers! 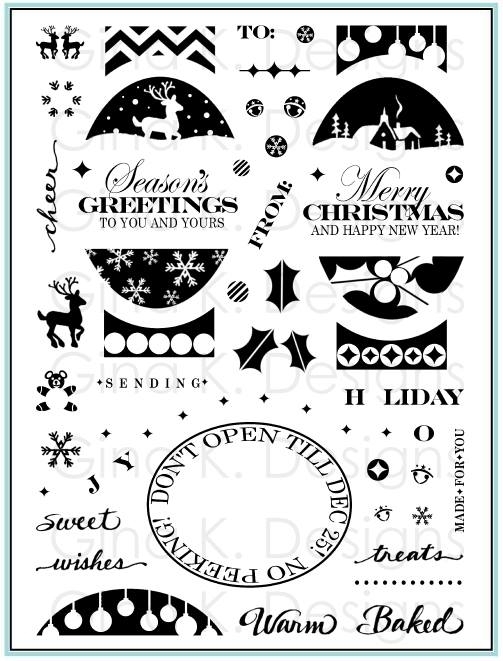 Love the stenciling too! Oh my goodness! Such talent and creativity. Gorgeous samples Melanie! 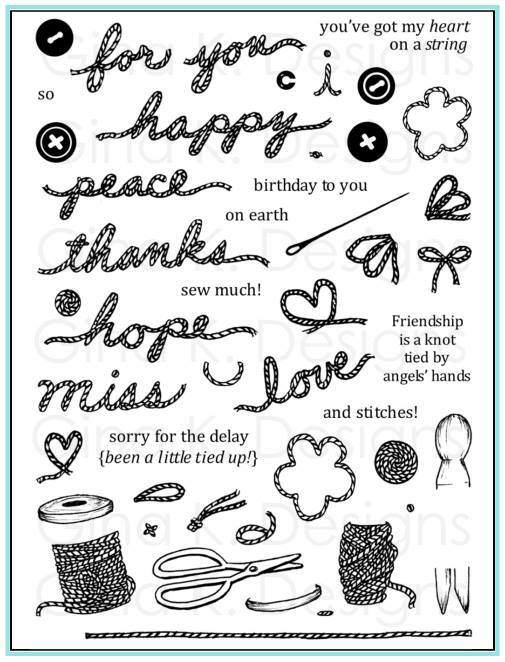 I really enjoyed playing with your new stamp set! Love how you incorporated the new stencils too! Wow! Your designs are amazing! I am new to Gina K and am so impressed by what I've seen so far! Everything is just wonderful! It always amazes me how many ideas you can come up with using any stamp whether you created it or whether by someone else. It inspires me to use my stamps differently. So many wonderful projects! They are all wonderful. Wow, Wow! Beautiful cards and so many ideas! I have always been intimidated by flowers, but these make me feel like I can do a decent job, It's raining here so off to my craft room. If you hear a loud scream from the IL and WI stateline---it's me. If not I'm happy. love the color combo of the envelope card. I always love all your creations. Your encouragement of just stamp and keep moving forward is full of grace. As usual, beautiful cards. I have the stamp sets and now the dies and you are giving me so many ideas. Thank you for sharing your talent. Awesome! Very talented! Love your cards. Thanks so much. I always love your beautiful. Creations Melanie and love that all your sets work with each other. Such a great new set! I love the large size, and your samples are gorgeous!